"While they've only played twice before, Tsitsipas will know that he will need to find a way to address his woeful service data against Nadal in these head to head matches. He's only won around 55% of service points across those two matches against one of the best returners on tour." Wednesday's final two quarter-finals were rather different in how they played out, with Lucas Pouille shocking Milos Raonic in a tight four-setter that spanned just over three hours, while Novak Djokovic benefited from Kei Nishikori's retirement during the second set, having lost a mere two games to his Japanese rival by that stage. 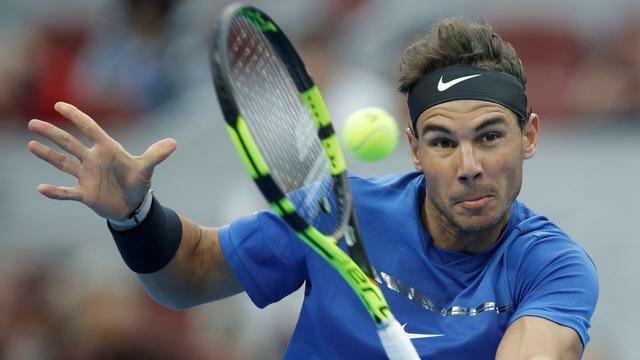 Pouille and Djokovic meet on Friday for the second men's semi-final, but prior to this, we have Stefanos Tsitsipas versus Rafa Nadal to consider, with that match taking place at around 830am UK time tomorrow morning. Rafa's straight-set win over Frances Tiafoe in the quarter-finals means that the King of Clay has now got to the semi-finals without even dropping a set - with 10 sets out of the 15 played being won via losing three games or fewer. Certainly, the outright market has taken note of Nadal's dominance en route to this stage, with the Spaniard now [2.56] to win the title. Djokovic, following that win over Nishikori, is now back to odds-on, and trading at a current [1.87] to be victorious on Sunday. Nadal is available currently at [1.20] on the Exchange to get the better of Tsitsipas, and to book his place in a possible dream final, and this price is almost exactly the same as my model price of [1.21]. The main reasoning for this was the return data of each player - in the last 12 months on hard court, Tsitsipas has broken opponents just 16% of the time, with Rafa's stats for the same metric being around double that of his rival tomorrow. Both players have held just over the 85% mark, but with this big discrepancy on return, Nadal's status as a heavy favourite looks completely justified. Interestingly, their previous meeting was in the final of Toronto last August, and Nadal was priced at virtually the same then as well. That day, he triumphed 6-2 7-6, and also defeated the Greek prospect in the final of Barcelona at the end of April. This match on the clay of Barcelona was more comprehensive, with Nadal lifting the title for the loss of just three games in that final. While they've only played twice before, Tsitsipas will know that he will need to find a way to address his woeful service data against Nadal in these head-to-head matches. He's only won around 55% of service points across those two matches against one of the best returners on tour, while Nadal has had it easy on serve, only being broken once across four sets. In short, a lot will have to give tomorrow for Tsitsipas to make his first Grand Slam final, and it's difficult to disagree with the market at all here - it would be a pretty big surprise if Nadal didn't face Djokovic on Sunday in most people's dream final.